Where did I come up with this bizarre claim? It’s not so crazy. Probably the most logical point to start with is Moore’s law. If you’re not familiar with this, I recommend having a read as it’s very interesting. In a nutshell it’s the observation that computer power doubles approximately every 2 years. This in itself is quite an amazing and daunting idea. It’s also astonishing that the theory was first described in 1965 and predicted that the trend would continue that way – and it has – uncannily accurately. Obviously along with this rapid pace of technology, the other natural process that happens here is that the cost of technology comes down. A top of the line IBM XT computer from the 1980’s is now worthless junk. An expensive calculator from the same era is now hilarious rubbish that we would smash with a hammer in a rage of laughter purely because of how old and terrible it is. So naturally technology today will eventually, over time become cheaper and cheaper until it’s practically worthless. So as technology gets more powerful, and cheaper, obviously it gets smaller as well. It takes less space, and smaller computer chips to achieve more and more over time. Dr. Michio Kaku makes the an interesting point about one relatively new technology that currently exists – ‘e paper’. This is basically electronic paper that has what looks like realistic ink on it. The Kindle is an early use of this technology, however newer implementations of this are likely to look just like normal thin paper without the casing. At the moment this might be considered fairly new or novel. But if you consider that, along with all other technology it will get to the point where ‘e paper’ is basically as cheap as paper is today, then all paper will use this integrated technology. Even the wallpaper will use this ‘e paper’ and have computer processors in it! Now firstly let’s put aside the fact that many people from the 1950’s are actually alive today. The part about the pictures of cats and arguments with strangers is valid, true – and quite funny. But the first paragraph here is what I find amazing – “I possess a device, in my pocket, that is capable of accessing the entirety of information known to man”. Stopping to think about that for a second, it’s an incredible truth. Can you imagine what someone from the past would think of that? No matter where we are, we’re able to look up the most obscure and complicated information in a matter of seconds. Information that only decades ago you could never dream of obtaining, no matter what lengths you went to. If that’s what we’re capable of now, how would we look upon the capability of humanity 50+ years in the future? Well I think we can already get a feel for it. Mobile devices are amazing but if you’ve been on a train, bus or even to the city lately you’ll notice that most people are walking around with their heads down holding their mobile phone in one or 2 hands. This device still requires us to move almost all of our focus, attention and even our hands to access it. That’s great for now, but soon that archaic hinderance or barrier of having to use our hands will be removed. 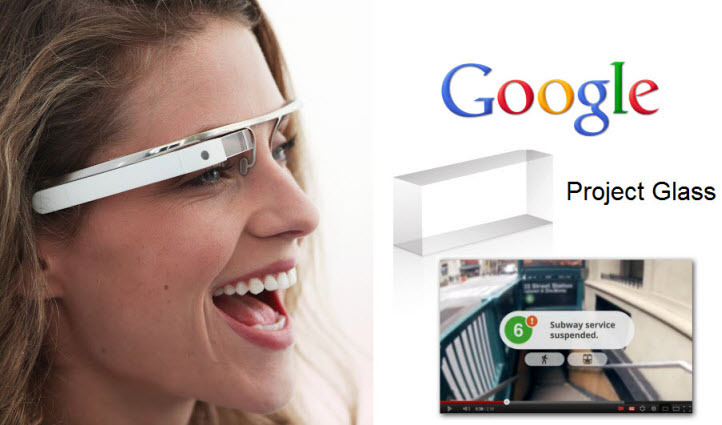 The next step is already here: Google Glass. Why is this so important? Because just like mobile phones, it lets us be completely connected to the worldwide grid of all the information known to mankind, however now it doesn’t even require us to use our hands, or avert our head or gaze. It’s moving the technology closer and closer to our senses, closer to our brain. It’s funny – in a video by Dr. Michio Kaku called “The World in 2030” he mentions these “glasses” that would be developed which have computer chips in them and are connected to the internet. I believe this was only in 2009, and already, in 2013 they are a reality, soon to be released commercially. The next step will be to integrate our ‘connectivity’ even closer – probably contact lens. And the perhaps the biggest, most controversial step will probably be microchip implants. I dare say that although implants have always been considered scary “big brother” science – it will probably happen. Possibly one of the most interesting aspects is that the goal isn’t necessarily malevolent at all. Quite the opposite. The goal is to remove barriers between us and accessing the information we want. So these are just natural progressions. They aren’t being forced on us, we WANT them! So the end result is going to be that most (all?) humans will be connected to this central ‘grid’ – which can be used both for communication and for information. We will all be integrated with the worldwide “brain” or “database”. Actually we already are, but as technology improves, the barrier in the interface between us and “the grid” will disappear. Not so different to “The Borg” after all, is it? Great article, but way too depressing for my liking – I think I’ll take that guy’s advice and go back to looking at cats! It’s sad how everyone is buried in their phone, so materialistic. All the little sheeple playing on their Facebook with their sheeple buddies, pretending to be popular because their too afraid to set the phone down and face the world. I wonder how many retweets the end of America will get. As long as I can look at my kitties on instagram it’ll be okay though. Ejoyed the article, you’re right bro. Do you think Google is just a search engine and facebook is just a fag site? As you detailed, these two sites combined is basically a collective consciousness, if and when we’d reach the point of combining electronics and humans is where i draw the line though. If a jeep can be hacked, a phone, a heart monitor, the gvnt, certain a person would be next haha.